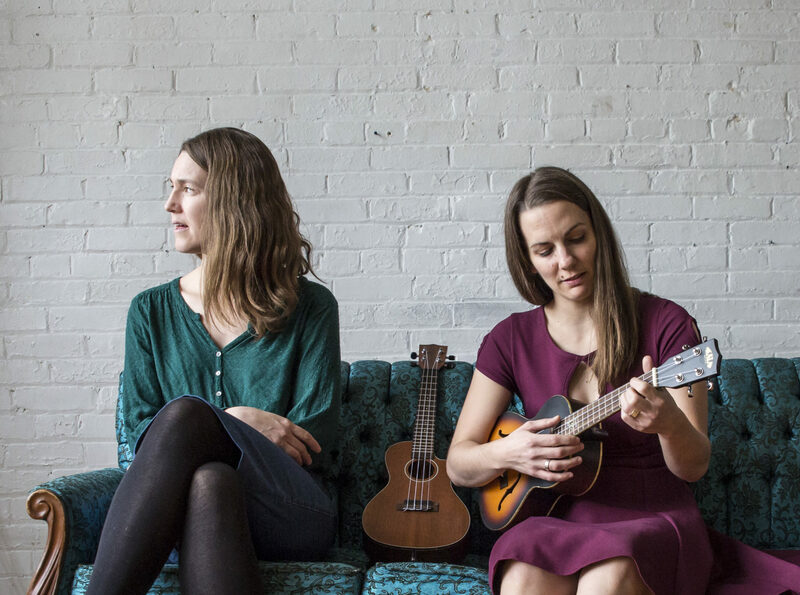 Sweet Pea is a Toronto folk-pop band led by Rebecca Hennessy and Julia Hambleton. The duo’s original songs blend dreamy vocal harmonies with ukuleles, accordion and the solid rhythm section of drummer Dave Clark (Gord Downie, Rheostatics) and Juno-nominated jazz bassist Michael Herring. Hennessy and Hambleton met while playing in the horn section of Dave Clark’s Woodshed Orchestra. It was there that they nurtured the inspiration to start writing their own songs and in 2013 Sweet Pea was formed. Julia Hambleton is a clarinetist, songwriter and music educator. Since graduating from McGill University with a BMus in Clarinet Performance, she has been committed to creative projects in a variety of musical genres ranging from jazz, pop, folk, rock, classical, klezmer and free improvisation. Julia has played on over twenty recordings and performed on festival stages across Canada. She has recorded and/or performed with artists such as Broken Social Scene, Andy Kim, The Bidiniband, Rheostatics, The Woodshed Orchestra, Friendly Rich and The Lollipop People, John Millard, Bob Wiseman, Christine Bougie and Runcible Spoon.